One of the purposes of “The Drumming Blog” is to curate. As one who is obsessed with drumming, I’m a big consumer of the drumming media and therefore I stumble upon little tidbits of drumming wisdom all the time. Often, it’s from interviews I read with great drummers either online or in magazines. 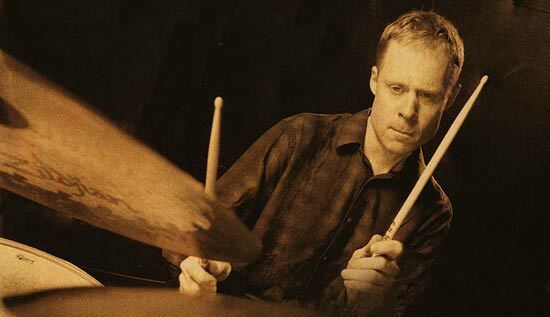 In this edition of “DrumSpeak,” Bill Stewart, one of our generation’s most influential jazz drummers, speaks about technique. I found this quote in an interview with Stewart that appeared in the April 2015 issue of Drumhead, a relatively new entry in the drumming magazine world. If you don’t know Drumhead, it’s a magazine worth checking out. I work on technique every time I practice. I come across things that I’m maybe not doing well enough so I will focus on whatever is bothering me, as far as execution goes. Obviously I work on technique, but it’s in order to play what I want to play musically. I’ve never liked it when musicians play things that seem technical for the sake of showing that; showing fast hands, for example. It’s usually something fast that people associate with that. That’s not really where Im coming from but obviously I do have to work on getting my hands and feet and coordination to all work well. To me, technique is about getting a good sound too; it’s not just about playing a bunch of flashy stuff.